The pattern continued in the second set as 2017 French Open champion Ostapenko’s unforced errors – which totaled 35 by the end of the match – gave Kerber two more breaks of serve for a 5-1 lead. Playing her first Wimbledon semifinal, 21-year-old Ostapenko rallied to save a match point and break Kerber’s serve for the first time, but the German saved a break point as she served out the match at the second attempt. The 11th-seeded Kerber, who was the Wimbledon runner-up in 2016, twice broke 2017 French Open champion Ostapenko’s serve. The 2017 French Open champion hasn’t lost a set en route to her last-four meeting with two-time Grand Slam winner Angelique Kerber. 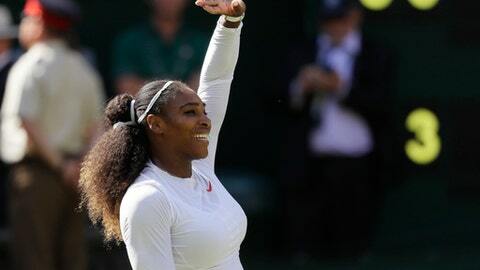 Seven-time champion Williams will be second on Centre Court when she faces Kerber’s compatriot, Julia Goerges, who will be playing in her first Grand Slam semifinal.